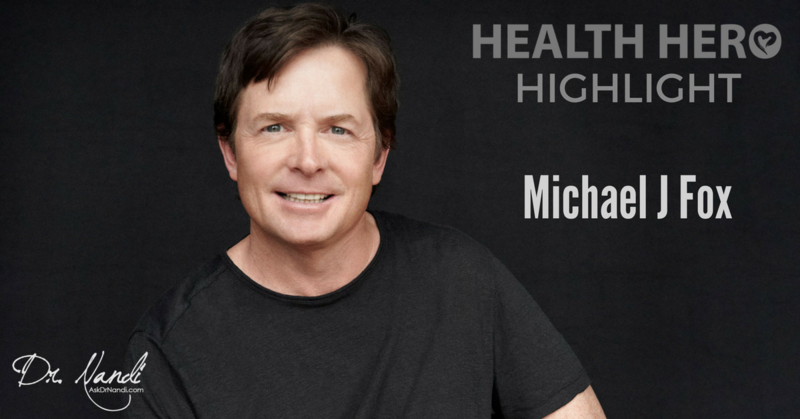 Michael J Fox grew up before our eyes playing Alex P. Keaton on the hit TV show Family Ties. Michael’s acting career continued to blossom and he quickly made the celebrity A list with continued television and box office hits. In 1991 at the age of 30 his world changed forever when Fox was diagnosed with young-onset Parkinson’s disease. He would not share the news with the public for another seven years and upon disclosing his condition in 1998 he committed himself to the campaign for increased Parkinson’s research. Two years later Fox announced his retirement from “Spin City”, effective upon the completion of his fourth season and 100th episode. Expressing pride in the show, its talented cast, writers, and creative team, he explained that new priorities made this the right time to step away from the demands of a weekly series. Later that year he launched The Michael J. Fox Foundation for Parkinson’s Research, which the New York Times has called “the most credible voice on Parkinson’s research in the world.” Today the largest nonprofit funder of Parkinson’s drug development in the world, the Foundation has galvanized the search for a cure for Parkinson’s disease, and Michael is a true Health Hero, widely admired for his tireless work as a patient advocate. Michael’s dual passions for both acting and finding a cure for Parkinson’s brought him back In 2012 to full-time acting. While the announcement may have upended public expectations, Fox had spoken publicly about finding a drug cocktail that helped him control the symptoms and side effects of his Parkinson’s disease well enough to play a character with PD. In 2013, he returned to primetime network TV as Mike Henry on NBC’s “The Michael J. Fox Show.” The show, which quickly gained nationwide attention, centers on a beloved newscaster and family man who returns to work following a diagnosis with Parkinson’s disease. Parkinson’s families and Michael J. Fox Foundation supporters united around the power of optimism demonstrated by Fox’s return, hosting more than 2,000 premiere night house parties around the country to celebrate the airing of the first episode. Michael is the bestselling author of three books, all with Hyperion: A Funny Thing Happened on the Way to the Future, a compendium of wisdom for graduates, was published in April 2010. Always Looking Up: The Adventures of an Incurable Optimist, published in April 2009, debuted at number two on the New York Times bestseller list. It was accompanied by an ABC-TV prime time special that was nominated for an Emmy award for Outstanding Nonfiction Special; additionally, its audio recording by Fox won the 2010 Grammy award for Best Spoken Word Album, an honor for which all three books were nominated. His first book, the 2002 memoir Lucky Man, also was a New York Times and national bestseller.